What are Shaper’s Orbs in Path of Exile? Shaper’s Orbs are reward poe items that upgrade maps of specific tiers to Shaped versions of those maps, which are five tiers higher. There are fifteen available, and they are distributed among specific maps in the Atlas (one at each of map tiers 6-12, two at tier 13, and three each at tiers 14 and 15). Earning the 1% cumulative map quantity bonus mentioned above earns you the Shaper’s Orb from that map, if it has one. Generally you earn a tier X Shaper’s Orb from completing a tier X+5 map. For example, if you complete a tier 15 map that has a Shaper’s Orb as the reward, then you’ll receive a tier 10 Shaper’s Orb, allowing you to upgrade a tier 10 map of your choice to tier 15. Shaper’s Orbs are essentially quest items, in that they are non-tradeable. You can respec the decision to upgrade a map by trading 20 Cartographer’s Chisels and 5 Orbs of Regret to a vendor. This is intentionally an expensive operation. When a map on the Atlas has been Shaped, it doesn’t change any of the existing maps you own. However, Shaped versions of that map will now start dropping. Unshaped versions will not drop for you any more. These Shaped maps are five tiers higher than their regular Unshaped counterparts. They can be traded to other players. Like the rest of the Atlas, map Shaping is shared between all your characters in the league. All items (including the new base types) dropped in these Shaped maps are five item levels higher than they would otherwise be. 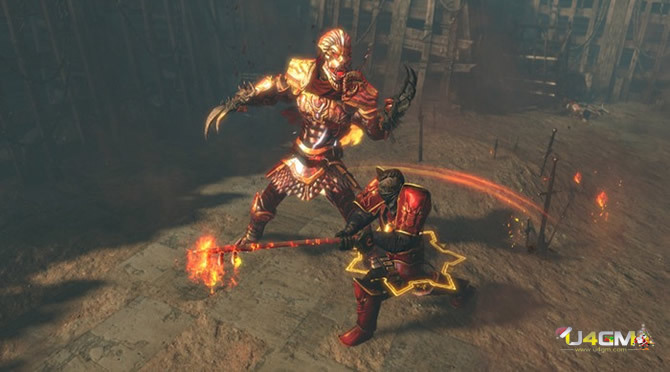 For more path of exile guides, you can visit U4GM, and we also bring you some cheap path of exile currency if you need. Posted in Path of Exile. Tagged Shaper's Orbs.